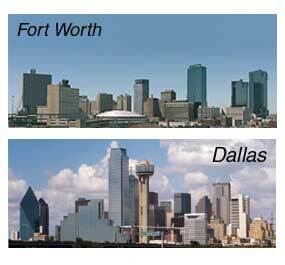 The Dallas/Fort Worth Metroplex is a sprawling urban and suburban area located in the heart of North Central Texas. Centered around the major cities of Dallas and Fort Worth, the Dallas/Fort Worth Metroplex is home to over 5 million people and the area is still growing rapidly. You can learn more about the population of the DFW area by clicking here. This site is primarily concerned with the 10 counties immediately surrounding the cities of Dallas and Fort Worth. 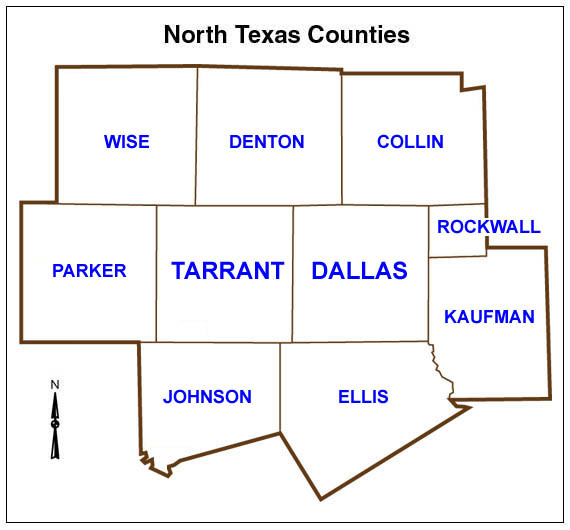 More specifically, Dallas and Tarrant Counties and all of the counties immediately adjacent to those two—Wise, Denton, Collin, Rockwall, Kaufman, Ellis, Johnson, and Parker. Click here to see more maps of the DFW area. 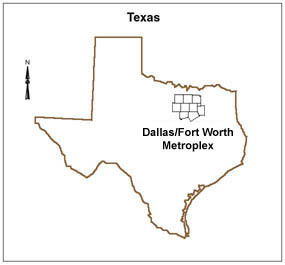 Much of the DFW area is developed. Industrial and business parks are very common; as are shopping centers and large residential subdivisions. Undeveloped areas are dominated by gently rolling prairies with wooded areas near streams, rivers, lakes, and other bodies of water. 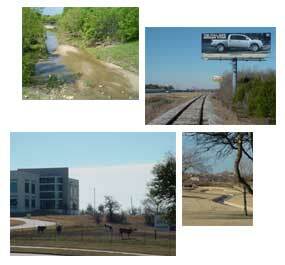 Click here learn more about the different Habitats in the Dallas/ Fort Worth area. The Climate is hot and dry in the summer. Wet and mild in the spring and fall. Winters are also mild, but occasionally turn cold, and can include ice storms and/or snow. 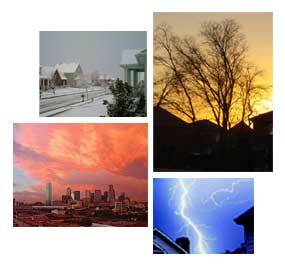 To find out more about the climate of the DFW area click here.